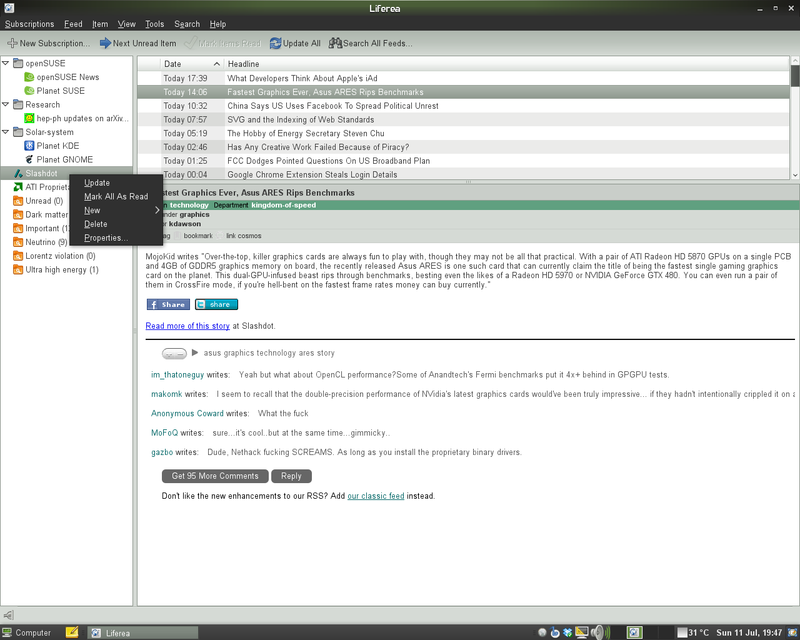 Liferea is an aggregator for online news feeds for GNOME. It is intended to be fast and easy to use, and major feed formats RSS/RDF and Atom are supported. It is the default news and feed reader in openSUSE's GNOME desktop. This page was last modified on 28 May 2015, at 20:25.